Below are dishes and products that are most commonly found within the Park. Since the Park has helped to shelter culinary traditions and methods, the recipes and products on this page are the same used and enjoyed centuries ago. And while you may find the same dish in different villages, the traditional methods and ingredients used to make it may change from village to village. Reknowned internationally, Parmesan cheese is produced in the northern side of the Appenine ridge. The cheese is produced in dairies that are located in the mountains and is known for its particular taste. 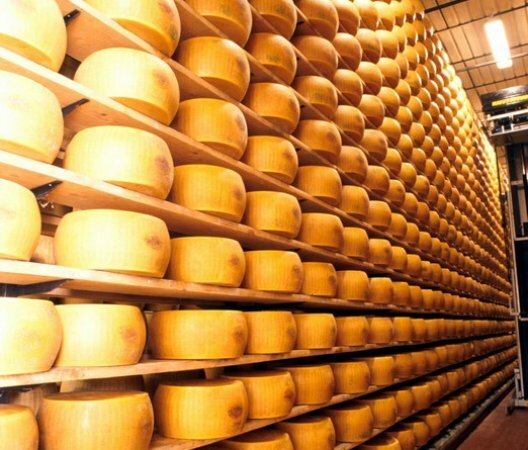 Plan on visiting a dairy and cheese factory when you visit the Parma region. You can find the finest Parmigiano Reggiano everywhere in the north side of the Park, at local stores, at visitor centers and also in the highest parts of Grafagnana and Lunigiana. This product can be eaten as an appetizer, paired with meats or served with balsamic vinegar. If you have a chance to eat Parmigiano Reggiano when it is first cut from the wheel, you will never forget it! This cheese, made from sheep milk, can be found in many regions of the Park. Because it produced in so many different regions, each region's Pecorino cheese has a different taste. It is eaten as an appetizer, in sandwiches or at the end of the meal it is paired with pears and honey. Pecorino can be found all over the Park. 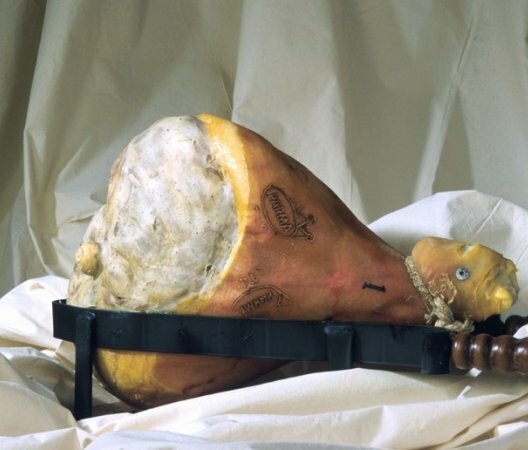 Prosciutto ham and Parmigiano Reggiano cheese are two of the most important and well known products of the north side. The ham is served as an appetizer with bread or as a meat platter with other local meats like Salami and Mortadella. If you have the opportunity to eat this ham when it is freshly sliced at a Parma ham factory, do not miss the opportunity! You can find this product mainly on the north side of the Park, but it is sold in other areas. This product is fresh pasta that is filled with green herbs, or potatoes or green herbs and ricotta cheese. It is served with Parmesan cheese or butter and a sage leaf. You can find Tortelli everywhere in the north side of the Park. The recipe can vary from location to location. It can also be found in the higher elevations of Garfagnana and Lunigiana. Testaroli are cooked in a large cast-iron pan that is traditionally heated over a fire. Before the batter goes into the pan it gets a dusting of coarse salt. The mixture consists of wheat flour, water and salt. Once the batter is mixed and the cast-iron pan is ready, the batter is ladled into the pan. It only cooks for a few minutes and once it has a spongy crepe consistency it is done and removed carefully from the pan. Typically Testaroli is served with freshly made pesto and sometimes also served with mushrooms. This product can be found all throughout Lunigiana and a few other select regions. This product is very closely related to Erbazzone, both are pastry shells filled with green vegetables.Torta d'erbi is consists of a mix of wild herbs, spinach, onions, leeks and Pecorino cheese. You can find Torta d'erbi in Lunigiana. Typical of Emilian cooking, Cappelletti are small stuffed pieces of fresh pasta. They are filled with parmesan cheese and Parma ham. The pasta is folded and sealed in a particular way. Cappelletti is served with a meat broth or a cream base sauce. A cake made from chestnut flour and other ingredients such as, olive oil, raisins, orange, rosemary and pine nuts. The recipe for Castagnaccio varies from village to village and from family to family. This cake can mainly be found in autumn because of the ingredients that are required. Is a pastry shell that is filled with swiss chard, onion, parmesan cheese and lard. This is a typical product of Reggio Emilia. In the mountains, the local people will also incorporate rice into the list of ingredients. This product can be found in the Reggio Emilian district. These are small crepes and the batter consists of chestnut flour, salt and water. Necci is cooked on a special pan and is traditionally heated by fire and then served with fresh ricotta cheese. This product can be found on the east side of the Park, Garfagnana and Civago. Are similar to Testaroli but smaller in size. They are cooked in a terracotta dish and then served with Olive Oil and Pecorino cheese or with ham and a soft cheese. This is a dish typical of Lunigiana. This is a sweet cake that is made from rice, custard and liqueur. Torta di Riso is mainly found in Reggio and the Massa Carrara region. Pattone are small crepes that are made with chestnut flour. Each pattone is baked between chestnut leaves and then served with fresh ricotta cheese. This product can only be found in the higher elevations of Lunigiana (Licciana Nardi, Camano and Fivizzano).